As the leaves begin to change colors, cooler temperatures settling in for fall and holidays fast approaching, hunting season in Pennsylvania is also right around the corner. When hunting, it is very important to protect yourself, especially your eyes. During hunting season, many hunting accidents are eye injuries that could have been prevented with the proper protection. Below are two lists with guidelines that will assist you in finding the right pair of safety glasses with the right lens color. Wrap around safety glasses are perfect for extra eye protection from bright lights, eye scratches from tree limbs, flying debris and other unforeseen circumstances. Additionally, shatter-resistant glasses are essential in avoiding eye injuries. Choose a pair of glasses marked with a Z87.1+ high impact rating. Adjustability is necessary for hunters so that they can adjust the nose pads and temples accordingly to their comfort and to have a better focus on the target. Furthermore, adjustability minimizes the distraction for the hunter. Foam-padding is helpful by protecting your eyes from excessive dust and flying debris. However, with foam-padding there is a chance that your glasses may fog up. The sweat-bar provides stability and a more secure fit for the hunter. It prevents the sweat from getting into the eyes. Anti-fog lenses are imperative because of changes in the temperature and the amount of physical exertion during hunting. One side effect about these lenses is that they can impair your vision. Besides finding the right eye protection for hunting, different lens colors improve visibility to the hunter. Since there are different kinds of hunting, it is best to choose a colored lens that is perfect for you. 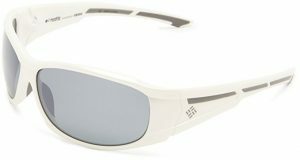 Yellow and Orange lenses deter haze and blue light from the hunter’s vision. These lenses help to increase contrast and depth. A bright yellow lens is used for seeing in low contrast and near-dark settings. Light purple lenses are good for enhancing the orange clay targets against a wooded background. Gray lenses help the hunter see exactly where their intended target is located, but do not enhance the target. Likewise, they help reduce glare from the bright sunlight. A brilliant scarlet red color known as vermillion assists in situations where there is a very diverse background with trees. These lenses also help the targets emerge from the background. Polarized lenses decrease sunlight glare reflecting off of water and other flat surfaces. This is because these types of lenses enhance outdoor vision. Even though there are so many types and colors of lenses for hunting, there is no perfect shade for every situation. Luckily, these different types of hunting glasses come with more than one lens color option. This is beneficial because it is cost effective and multipurpose to hunters. It is recommended to take time in choosing the right pair of safety glasses. Before hunting season begins, pick up your Columbia Eyewear today at Good Looks Eyewear in Cranberry!